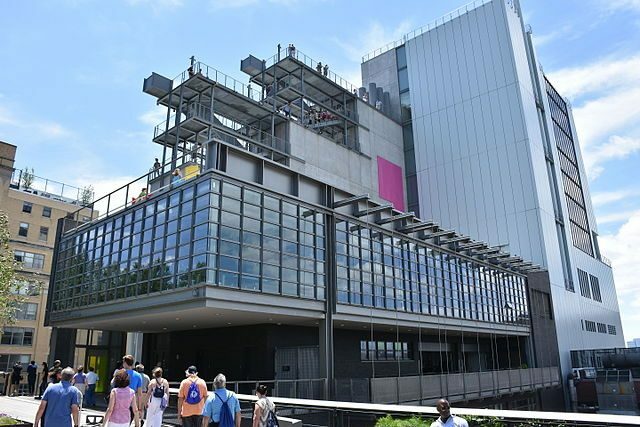 The Whitney Museum of American Art – known informally as the “Whitney” – is an art museum located in Manhattan. It was founded in 1931 by Gertrude Vanderbilt Whitney (1875–1942), a wealthy and prominent American socialite and art patron after whom the museum is named. The Whitney Museum of American Art presents the full range of twentieth-century and contemporary American art, with a special focus on works by living artists. Wikipedia.